Summer is here, and that means outdoor parties, camping, and outdoor activities for kids of all ages. 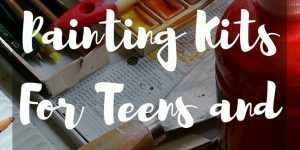 One of the favorite summer art activities for kids and adults is tie dying shirts, socks, pillowcases, and other fabric items. With the bright colors, tie dye clothing brings out the hippie in all of us, and is just a lot of fun to make. So to start out this new blog and website, I thought that reviewing a tie dye kit would be a fun idea. I have used many tie dye kits over the years, from the time I was a child through just last summer, and I have to say that if you are looking for a tie dye kit to buy for your own use or for a birthday gift, then the Jacquard Tie Dye Kits are the best tie dye kits currently on the market. Jacquard Products is a company that specializes in making dyes, and other products for fabrics. 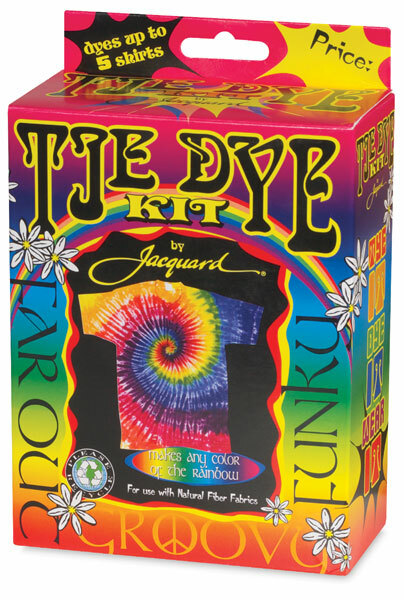 The Jacquard Tie Dye kit has enough materials to dye up to 15 adult-size T-shirts, with vivid, electric colors that are so colorfast they can be washed with the daily laundry. Jacquard Products includes their Procion MX Fiber Reactive Dyes which are already pre-measured for you in squeeze bottles. Two summers ago, my older daughter received two of these Jacquard Tie Dye kits for her birthday, and also a couple of tie dye kits made by other companies. During the summer, my two daughters and I spent a lot of time tie dying shirts, and socks, and we made several tie dye t-shirts for each of us. Jacquard Products’s kit was the simplest to use. Everything came measured out with excellent instructions, and ideas of how to create specific designs. We had plenty of dye, and the colors were the brightest of all of the other tie dye kits. Although the kit says to use the dyes on natural fabrics, we actually used shirts that were polyester/cotton blends, and had no problem. Two years later, the shirts still look great after lots of washing and wearing. Tie dying is a messy process. It is important that you set up your dye stations either outdoors in an area that can get wet, or indoors with lots of plastic covering for your tables and surfaces. Jacquard does a good job making the process less messy by putting the dye inside the bottles for you, but it is hard to stay clean or dry during this process. If you don’t want to end up with blue or red hands at the end of the tie dye session, make sure you wear at least one pair of gloves at all times. Naturally, I didn’t, and I had blue hands for about a week afterward. If you want to get a smaller kit, Jacquard Products does have smaller kits available, but I think that the Jacquard Tie Dye Kit is the best value for the money. This kit comes with three primary colors-red, blue, and yellow–but you can mix your own colors from the three. The most popular colors to mix are orange (red + yellow), purple (red + blue), and green (blue + yellow). You can create lighter versions of the primary colors by using less dye. Read the instructions carefully before you start your tie dye, and you will get the best results. This is really an art project that anyone can do from about age 3 and up, so you don’t need any special skills. It makes a great afternoon summer activity for kids, or for a birthday party as long as you organize the dye stations to keep everyone as mess free as possible. 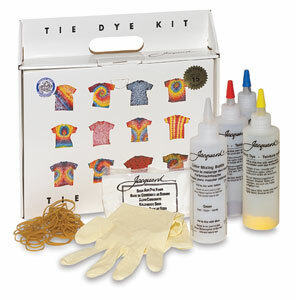 Click here to buy Jacquard Tie Dye Kit now. Get sizzling color and electrifying designs in just 3 easy steps. This professional-quality kit supplies enough to make 5 adult-sized T-shirts, or any natural fiber garment of equal quantity. Finished projects are colorfast and stay brilliant after repeat washings. Primary colored Procion MX dye powder is pre-measured and ready to mix with tap water in convenient applicator bottles. The kit contains the following materials. 3 applicator bottles with Red, Blue, and Yellow Procion MX dye. Gloves Rubber Bands Dye Fix Instructions for making spiral, stripe, and geometric patterns. 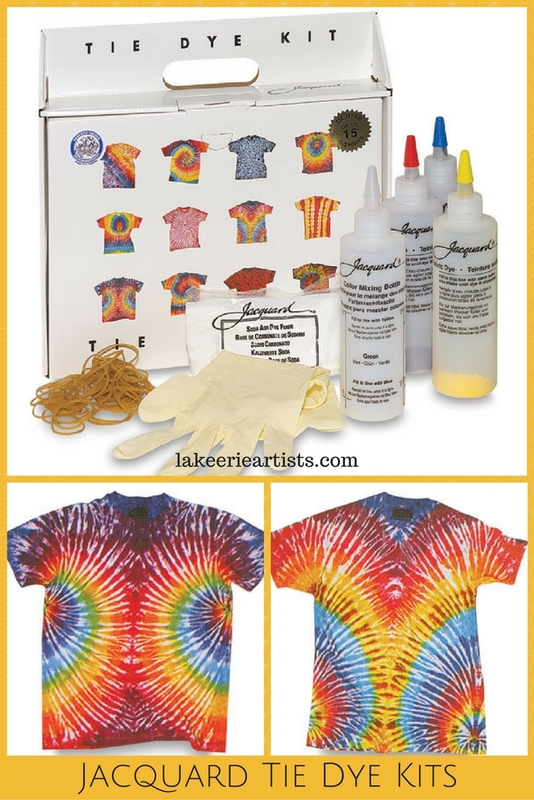 Take tie dye to the next level with quick, easy results! The indigo dye process has long been used in many cultures around the world. Now, Jacquard brings the natural and ancient art of indigo dyeing to the home dyer in a user-friendly formulation. The unique characteristics of indigo dyeing make it easy to create wonderful resist patterns on fabric. With a resurgence of interest in indigo and ethnic fabrics in the fashion world, this kit is sure to be a winner for creating unique clothing, bedding, table linens, pillow covers, artwork, and more. The Indigo Dye Kit dyes the equivalent of 15 yards of fabric, 5 lbs of fabric, or 15 shirts. Use it with natural fabrics or clothing only. The kit is suitable for use by all ages, with adult supervision of younger children. 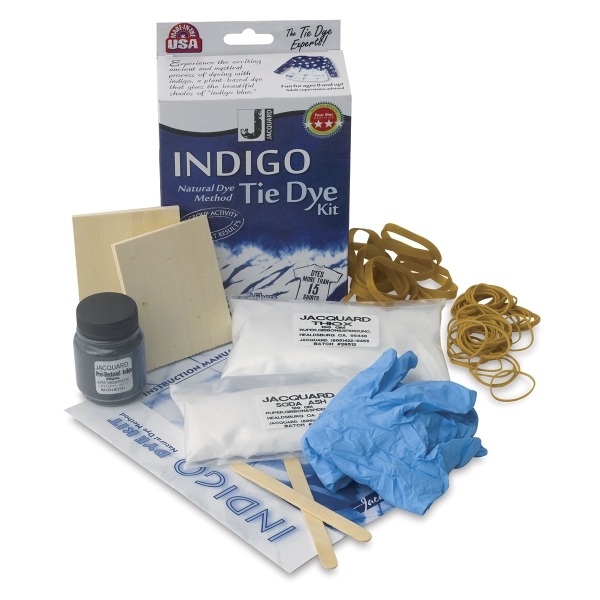 The kit contains: Jacquard’s pre-reduced Indigo dye Reducing agent Gloves Wood pieces Rubber bands Quick-start instructions An in-depth instruction booklet with dye patterns and a historical and cultural overview. 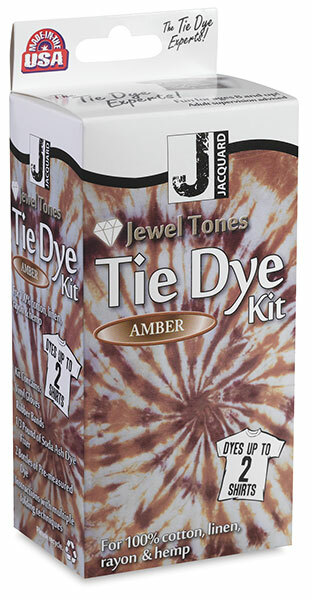 This series of Tie Dye kits from Jacquard offers an assortment of jewel tone colors for creating sophisticated, two-toned dyed pieces. Each kit has everything you need to dye up to two shirts, including complete instructions which contain many pattern variations. Each kit includes two applicator bottles with colors chosen to specifically complement each other, soda ash, pair of vinyl gloves, rubber bands and instructions. Achieve the best camouflage effects with this unique kit from Jacquard. 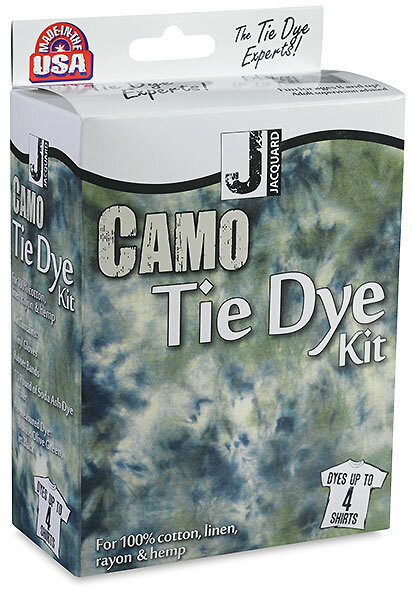 It contains everything you need to dye up to four shirts, including complete instructions for the classic camo pattern as well as ideas for creating three other dye patterns. The kit includes two applicator bottles of dye, container of dye for the immersion bath, soda ash, pair of vinyl gloves, rubber bands and instructions. 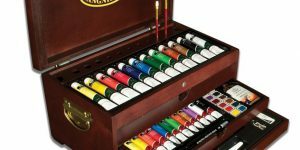 For 25 years Jacquard Products has been producing the finest colors at the best value for surface designers, textile artists, fine artists, hobbyists, and crafters. They have almost 20 color lines, available in standard & bulk sizes, sets, and in their fun, easy to use, and award winning kits.